This is where the bees spend their time when they're not out foraging for pollen and nectar. The queen lays eggs here, and the bees pack in the pollen to feed the brood, and nectar to produce yummy honey. One of our backyard hives, finished with a light gel stain and a few coats of Tung Oil. 100% Bee Furniture! Confused with all these names? Don't be. There are basically two sizes of boxes used today: deeps and mediums. Unfortunately, there are lots of different names thrown around by beekeepers. Deep boxes are also called Deep Supers, Brood Boxes, Deeps etc. Honey Supers are also called Mediums, Honey Supers, Supers, Honey Boxes, Dadants, and sometimes even Shallows (which isn't quite correct; see below). Technically, there is a third size of box, called a Shallow. These are most often used in commercial operations and are becoming increasingly rare these days. The chances of seeing new shallow boxes (5 11/16" high) for sale locally is almost nil... although some suppliers mistakenly refer to honey supers and frames as 'shallow' or 'narrow' boxes and frames. 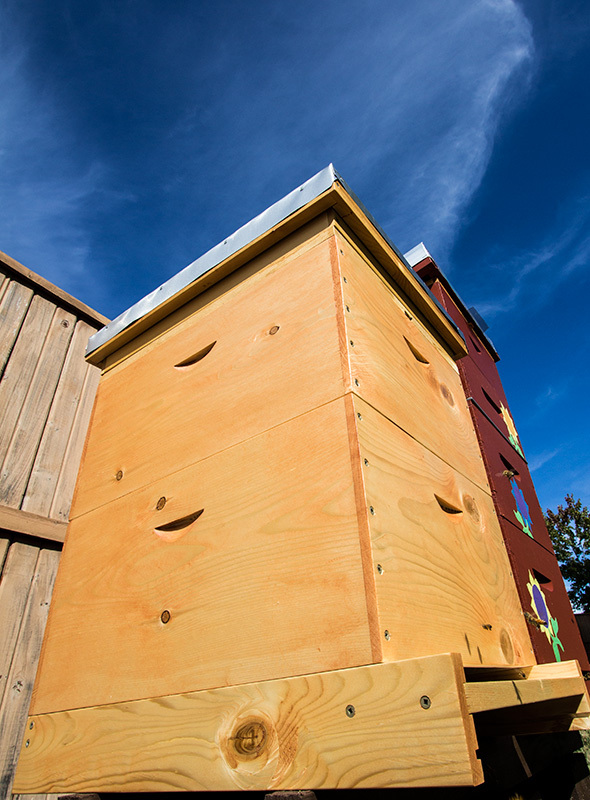 If in doubt, ask - honey supers should be 6 5/8" high and accept frames which are 6 1/8" to 6 1/4" high. One other note about sizes: the bees really don't care what size boxes and frames you use (so long as you have the right size frames for the box - deep frames won't fit in medium boxes, for example). 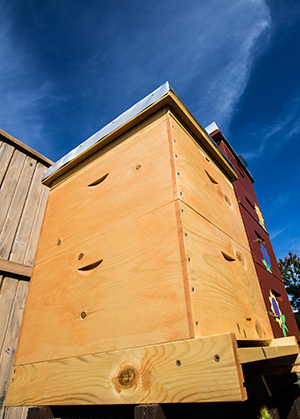 Although most hives consist of both deep and medium boxes, it's perfectly acceptable to use only one size or the other. Many beekeepers prefer to use all medium boxes, to reduce some of the heavy-lifting, and there is no problem with that. You'll probably just need a few more boxes to give the bees all the room they need.